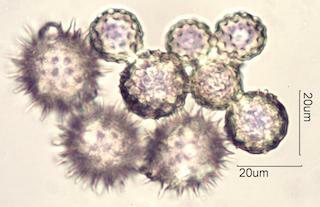 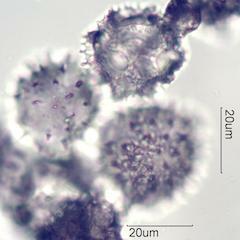 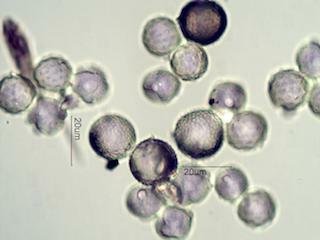 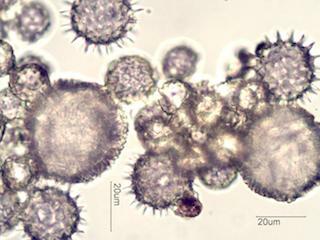 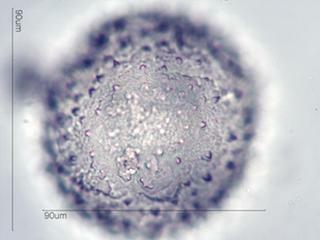 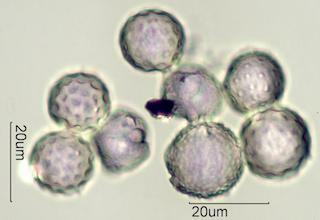 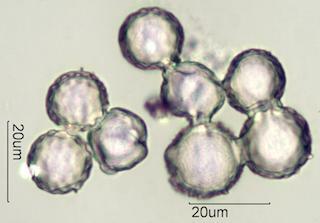 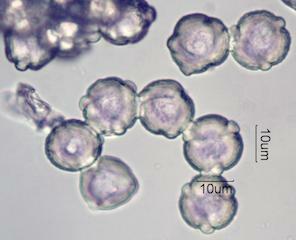 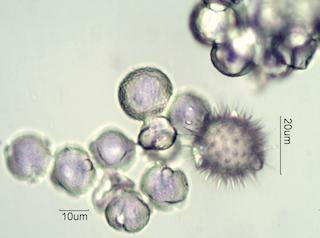 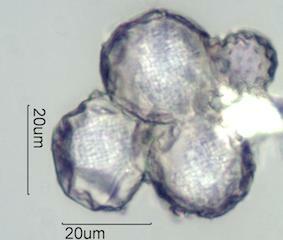 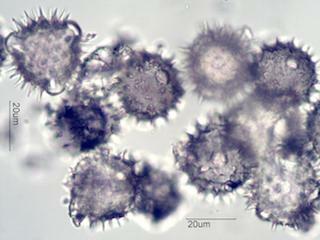 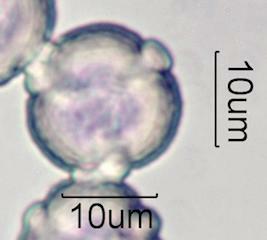 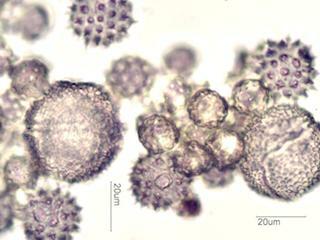 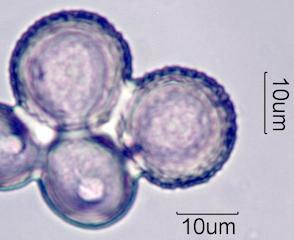 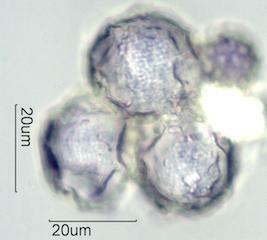 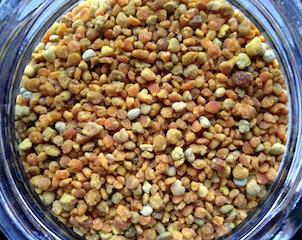 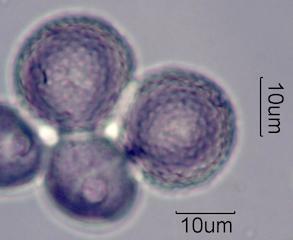 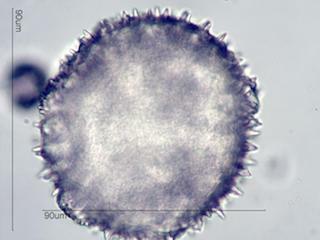 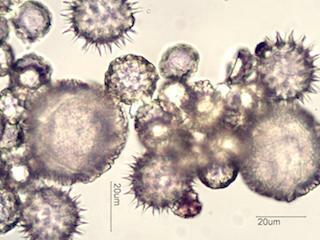 This is the pollen collected by honeybees on their hind legs that have been harvested for sale as a dietary supplement. 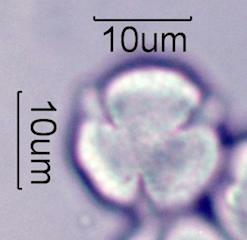 These are the pollens in the packets from the first row above. 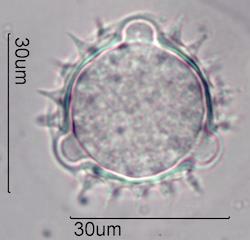 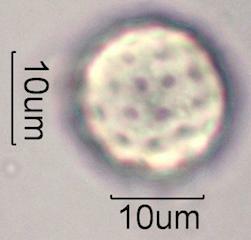 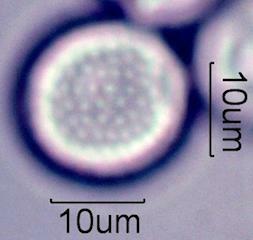 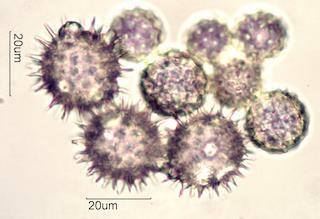 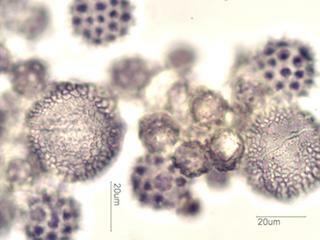 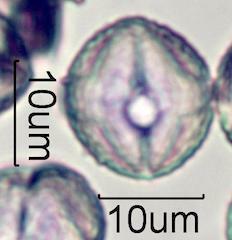 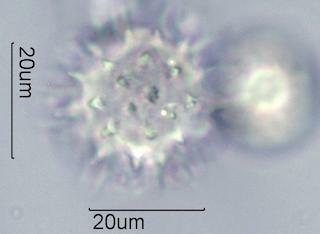 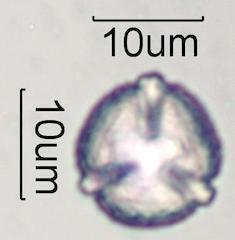 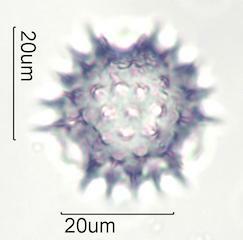 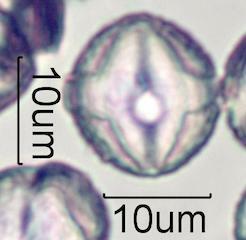 The pollen in this first set of three photographs is the most common pollen in the packets from this row. 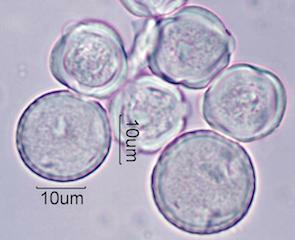 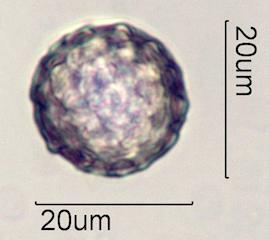 This is the second most common pollen in this row. 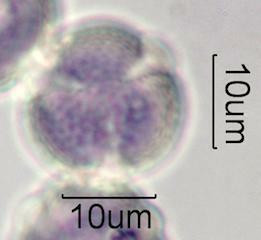 These are the pollens in the packets from the second row above. 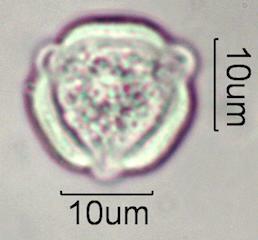 The top pollen in this first set of three photographs is the most common pollen in the packets from this row. 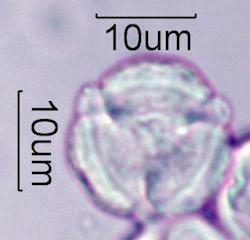 The pollen below is the third most common pollen in the packets from the second row. 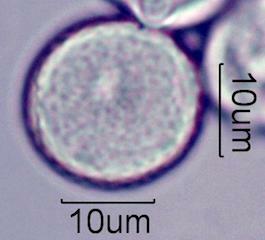 These are fields of view that show the variety of pollens along with the dominance of two types of pollens. 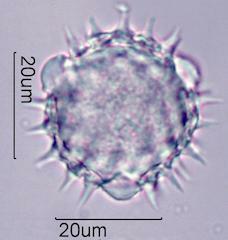 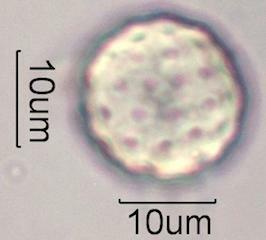 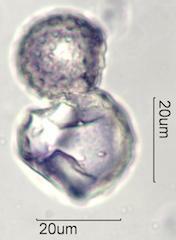 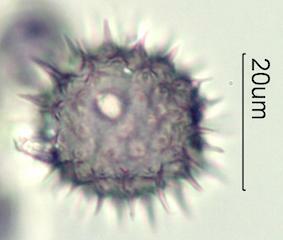 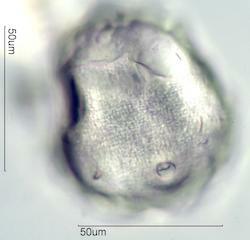 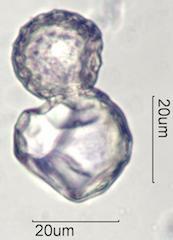 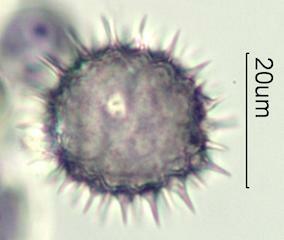 Dandelion pollen is in every row of pollen packets at some level. 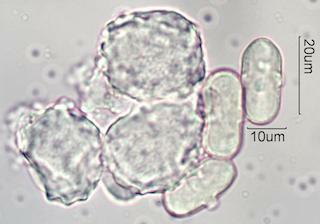 Row three is dominanted by sunflower pollen. 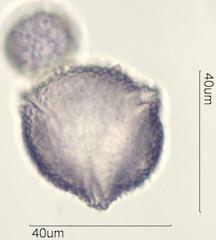 Row four contains a significant amount of this pollen. 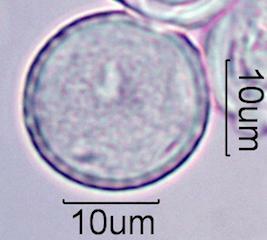 These are two more pollens common in row four. 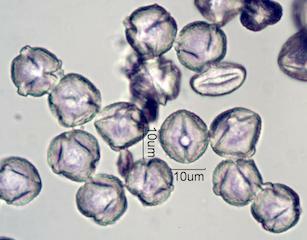 Row six was dominated by this pollen. 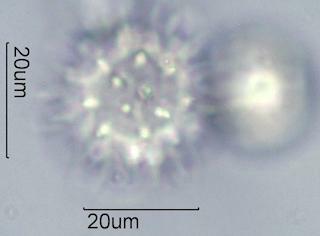 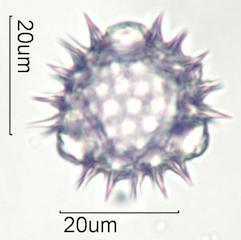 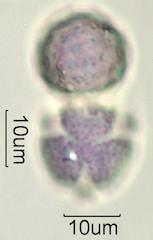 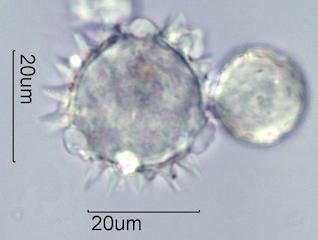 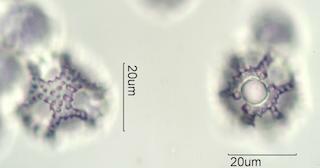 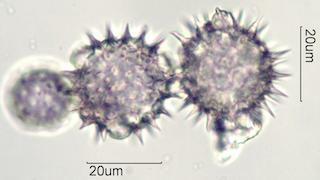 The next two pollen types were relatively common. 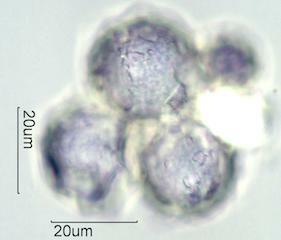 The next two pollens are relatively rare. 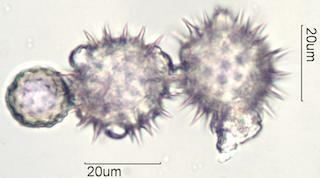 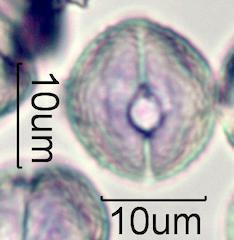 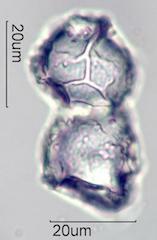 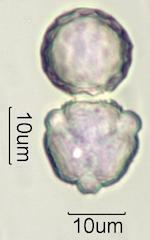 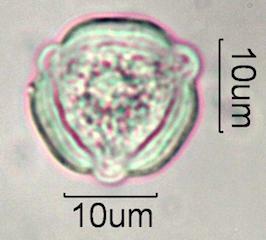 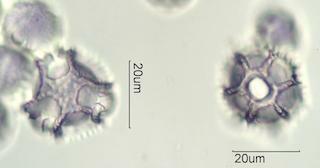 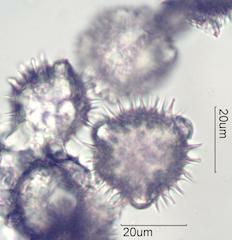 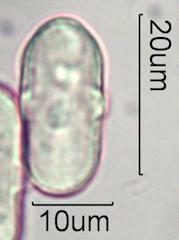 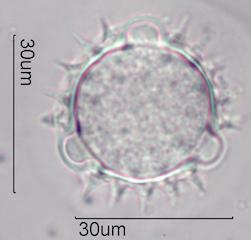 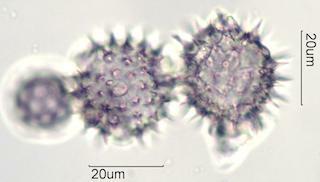 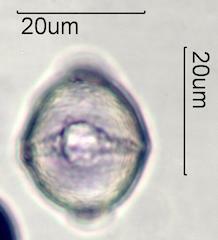 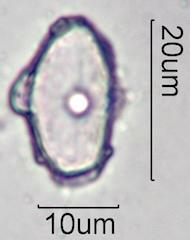 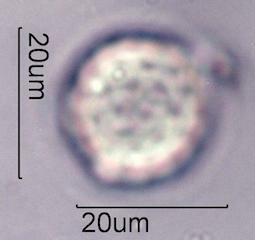 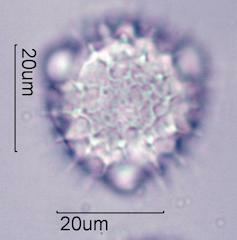 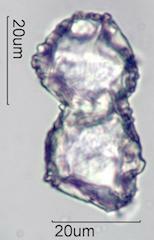 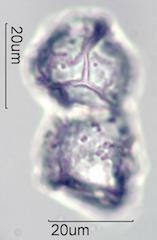 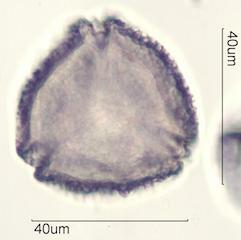 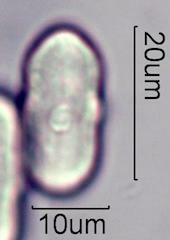 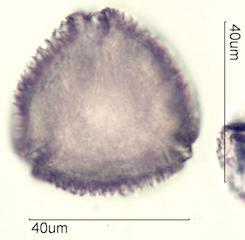 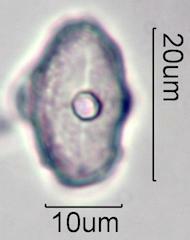 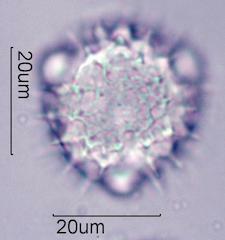 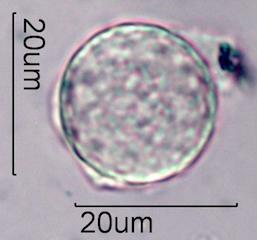 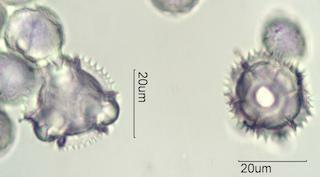 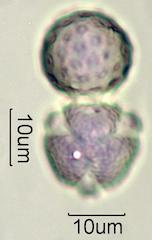 The three most common pollens in this row were the enchiate pollen shown in row 2 and 8 along with the Chenopodium of row 2 and another, larger Chenopod shown below. 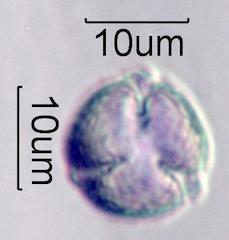 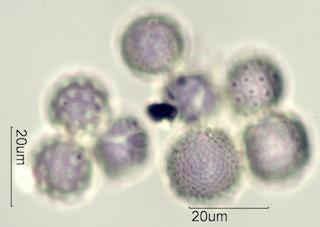 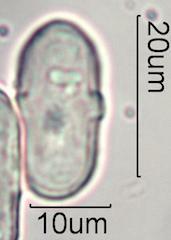 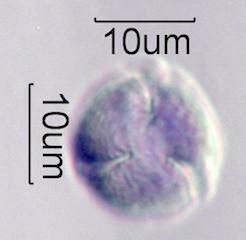 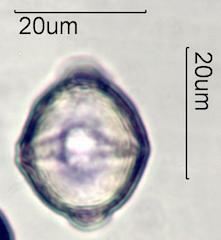 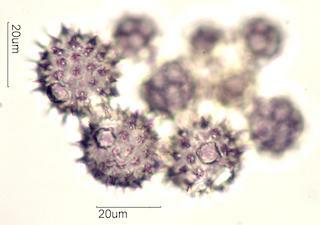 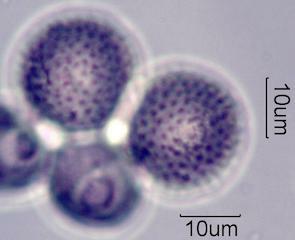 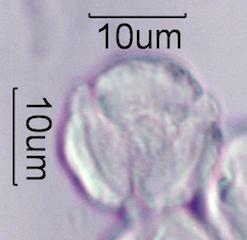 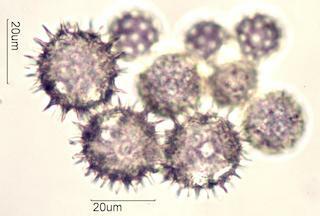 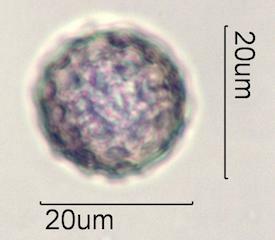 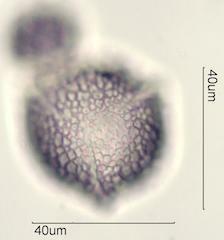 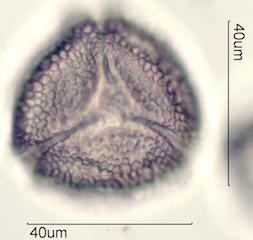 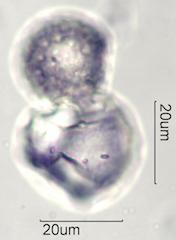 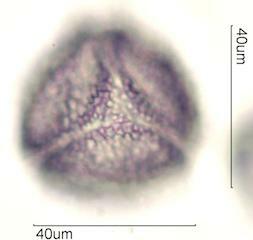 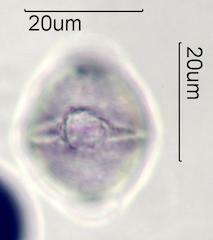 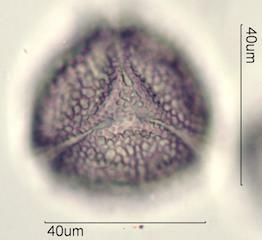 This is the forth most common pollen in this row.